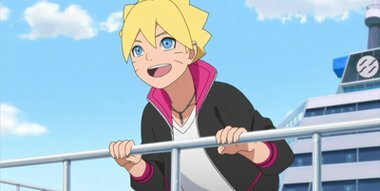 Boruto and his class head to the Water country, towards Village of the Hidden Mist, for a field trip. Guided by Kagura Karatachi, Boruto and his friends couldn’t believe that a village that is so overflowing with life and modern used to be called the Village of the Bloody Mist, and that children were made to battle each other to the death back then. However, there are ninjas in the Hidden Mist that are unhappy with the current situation of the village too.